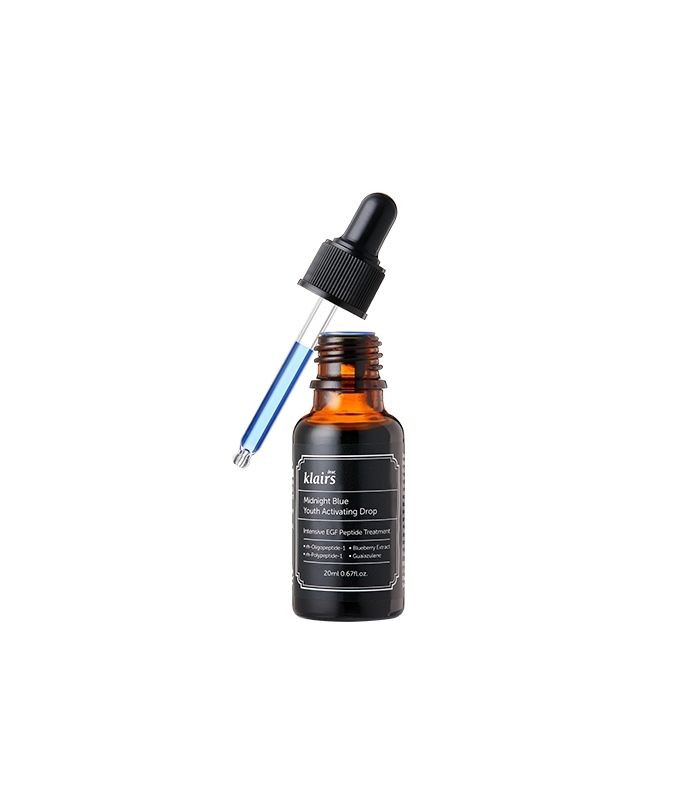 KLAIRS Midnight Blue Youth Activating Drop is an anti-ageing serum that uses two peptide strains: EGF (sh-Oligopeptide-1) and bFGF (sh-Polypeptide-1) to keep your skin youthful, elastic and strong. This watery serum has a similar consistency to that of an essence. It uses a dual peptide formula consisting of EGF and bFGF to slow down the natural ageing process of your skin. These ingredients also help reduce the appearance of fine lines as well as promote collagen production. Klairs Midnight Blue Youth Activating Drop contains only 10 ingredients. LFI Tip: Klairs blue drop should be applied onto clean skin before any other product. If you apply an oil or oil-based product prior to this blue drop, it may not absorb properly into your skin. Consider using anti-ageing products when in your early to mid 20s as collagen production in your skin drops down to 50% in this age bracket, leading to your skin losing its elasticity much faster from age 25 and over. EGF (Epidermal Growth Factor) – a protein naturally found in your body. 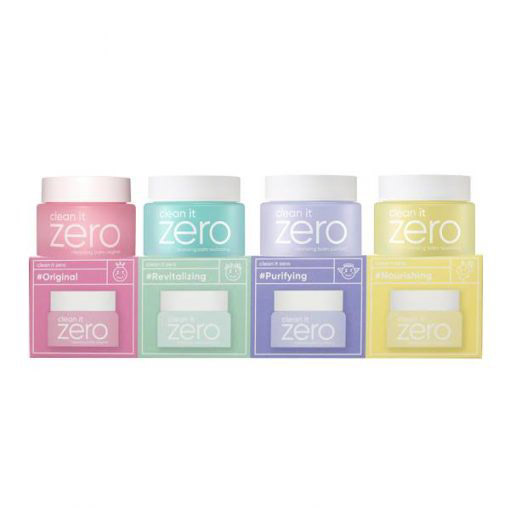 This stimulates collagen production and skin regeneration as well as strengthens skin elasticity. bFGF (Basic Fibroblast Growth Factor) is also a natural protein that helps to reduce the appearance of current fine lines and wrinkles. When used with EGF, it is more powerful and effective than when used on its own. Discover more KALIRS skincare here. After cleansing and/or exfoliating, use the dropper to apply a few drops onto your bare, fresh skin. Gently pat the watery essence into your skin.